This person is buying a lot of domestic and personal products as well as their food today. A tidy body and a tidy house. No veggies though. 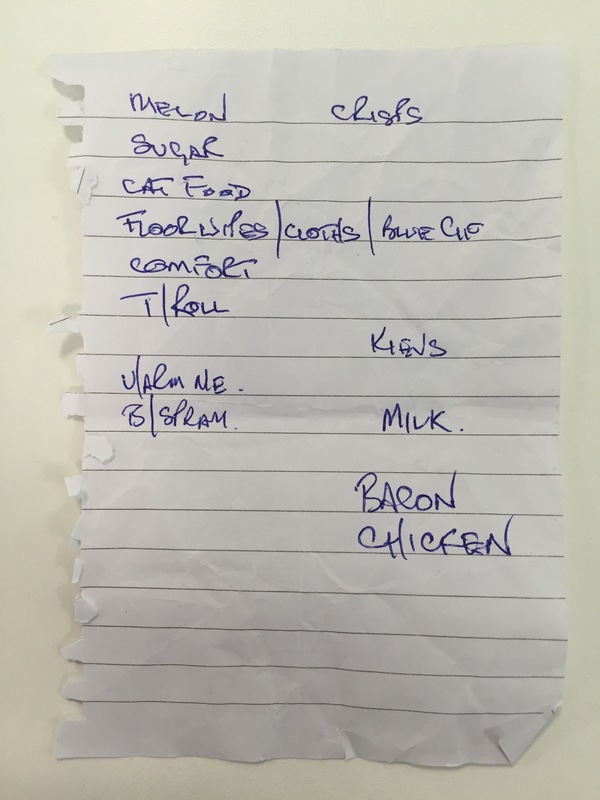 Melon, crisps, sugar, cat food, floor wipes, cloths, blue gif, comfort, toilet roll, kievs, under arm deodorant?, body spray?, milk, bacon, chicken.